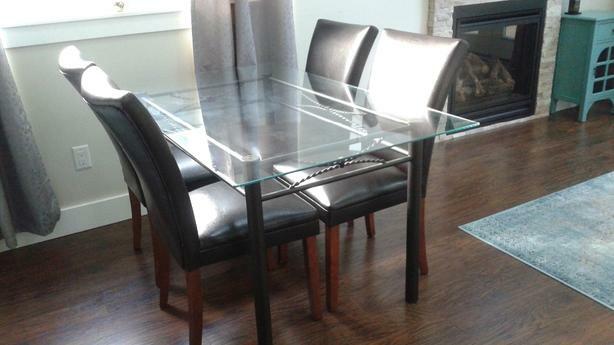 Glass table with 4 chairs. Table has a few scratches, chairs in excellent condition. Has to go - living in small space - need the room.